Paying your first grader for chores? Should pocket money be linked to chores? And do star charts really work? 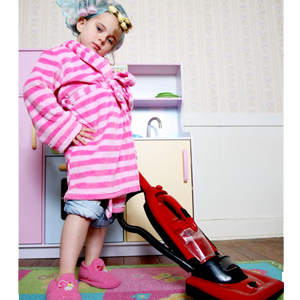 Parent24 sprogblogger, Lynda, shared her thoughts with us on whether or not she should start getting her 6 year old to start doing chores. After being very successful with using a star chart for her daughter when she was younger, she questions whether or not she should implement this strategy again. Her fellow bloggers gave her their varied input and this what a few of them had to say. 'Star charts work but you have to keep enforcing and reminding. We change the chores around monthly to keep it exciting. We also included a "you-day" where the entire family must do what you want to do (eg. daughter=hiking son=fishing). But this depends on whether or not you had majority stars which then qualifies you for your "you-day". If you'd like to read the rest of the comments on this topic, see Lynda's blog, The wonder of Star Charts. What is your opinion on star charts, chores and pocket money?